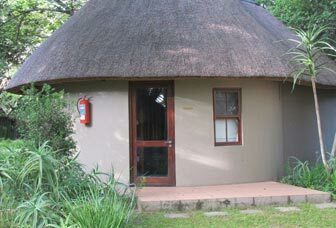 Our self-catering accommodation consists of either rondavels (African-style, round, thatched roof huts) or a guesthouse, which are serviced daily. Please specify which accommodation you would prefer. In the hustle and bustle of the race that is today’s modern life, it is increasingly difficult to find a place where one can fulfill that age old hankering to get back to nature; to find contentment in one’s own self – as we all did many eons ago. In the sun-splashed Zulu Kingdom of South Africa, there is a piece of bush where you don’t “rush to relax” or “try to chill out”; these things happen naturally here, and they have been doing so since time immemorial. 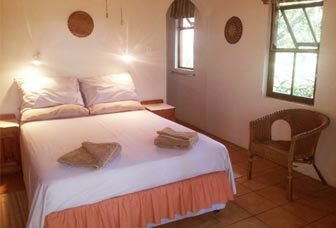 Umziki Pan (uMziki is Zulu for reedbuck) offers the visitor intimate and comfortable accommodation on a family-owned game farm nestled between the hamlet of Hluhluwe and the western shores of False Bay – part of iSimangaliso Wetland Park (formerly Greater St Lucia Wetland Park). 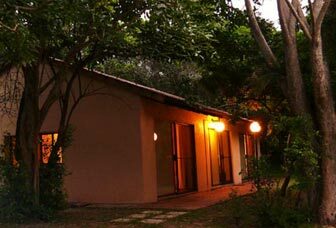 It can serve as a base for guests to explore most of Zululand in the time available to them. Umziki Pan is a Natural Heritage Site. In 1988, Umziki Pan was officially designated a Natural Heritage Site, primarily because of the pristine state of the sandforest supporting unusual fauna and flora such as trees like the Zulu Podberry. We are a recognised member of Birdlife South Africa.